Why National Geographic’s new campaign demonstrates how poorly we do when it comes to fostering sustainable behavior change and four questions we need to ask to do it better. As I started looking into it my mood has changed from happy to sad. 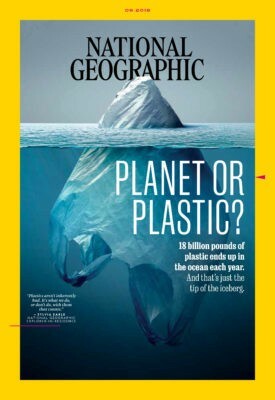 It was not just because of the devastating statistics, stories and pictures describing “the global plastic trash crisis,” but also due to National Geographic’s efforts to make a difference, with the goal of educating “audiences around the world about how to eliminate single-use plastics” through its Planet or Plastic?initiative. These efforts include a Planet or Plastic? Pledge: “Nat Geo is asking audiences around the world to take the Planet or Plastic? Pledge — a commitment to reduce their use of single-use plastic,” and a three-day social media campaign to spread the word about the pledge and the issue. In addition, Laura Parker, who wrote the excellent cover story for this issue provides a list of six pain-free things you can do to reduce your plastic footprint, including giving up plastic bags, skipping straws and passing up plastic bottles. So what made me sad here? First, let me be clear — I love National Geographic and admire the important work it does. At the same time, the efforts it shared to change our love affair with single-use plastic reflect a dated approach that probably has a very little chance to make any difference. Now, my beef is not with National Geographic — larger companies struggle to convince consumers to adopt a more sustainable lifestyle, especially when it does not directly concern their health, so why the bar should be higher for Nat Geo? And yet, the fact that what we are offered is to sign a pledge online to carry your own reusable bottle or advice like “Give up plastic bags. Take your own reusable ones to the store” saddens me. In 2018 we should know better. We HAVE to know better. 1) Are you thinking like a startup (aka what’s your 11 star experience)? When considering how to create interventions that will enable (at least) 100 million people to move to sustainable lifestyles, we very rarely see startup thinking. What I mean is the following — when National Geographic asks you to “give up plastic bags. Take your own reusable ones to the store,” it thinks about the goal of waste reduction (“trillion plastic shopping bags are used worldwide every year”), not about the user experience of using reusable bags. “If you want to build something that’s truly viral you have to create a total mindf**k experience that you tell everyone about. If I say, ‘What can I do to make this [product] better?’ you’ll say something small. If I were to say, ‘Reid, what would it take for me to design something that you would literally tell every single person you’ve ever encountered?’ You start to ask these questions and it really helps you think through the problem. 5-star experience: I go to the supermarket. I don’t need to remember or worry about brining a bag with me because the supermarket provides me as many reusable bags I need at the checkout counter — it is free if I spend more than $100 a month on groceries (if not, I’ll be charged $1 per bag at the end of the month). The bags are stylish, sturdy, and easy to carry around and fold nicely. If I bring used ones back I get a discount coupon! 11-star experience: When I enter the supermarket I receive a smart reusable bag that can connect directly with my smart refrigerator and send to my phone a list of what I need to buy. To ensure I don’t forget anything it will change its color from red to green once I’m done with the list. When I’m done, I don’t need to wait in line for the checkout as the payment is done automatically Uber-style. As Chesky explains, the point of this exercise is that while the 9-, 10-, 11- star experiences are probably not feasible yet, they allow you to expand your imagination beyond the 5-star experience and look for a sweet spot between “getting a free reusable bag at the supermarket” and “a smart bag that helps you shopping.” You have to almost design the extreme to come backwards, Chesky suggests. Bottom line: While adopting this mindset does not guarantee success, avoiding this mindset almost certainly guarantees failure if you are interested in reaching out to large audiences. 2) Are you considering the A.C.E model? 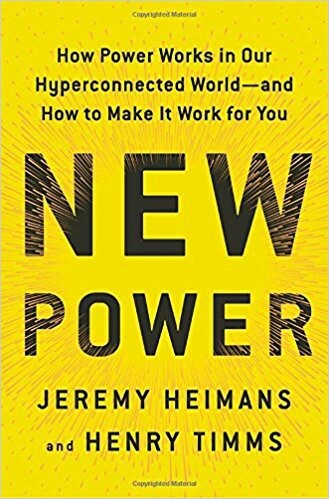 In their new book “New Power: How Power Works in Our Hyperconnected World — and How to Make It Work for You,” Jeremy Heimans and Henry Timms offer a new framework including three design principles to effectively spread ideas in a world where people want to take a more active role instead of just consuming ideas. The principles are: Actionable (“the idea is designed to make you do something”), Connected (“the idea promotes a peer connection with people you care about or share values with”), and Extensible (“the idea can be easily customized, remixed and shaped by the participant”). Heimans and Timms make the case that these principles can explain the success of initiatives and campaigns like ‘Giving Tuesday’ or ‘The Ice Bucket Challenge’, as well as social movements like #MeToo. Bottom line: “The future” according to Heimans and Timms “will be won by those who can spread their ideas better, faster and more durably.” To do so you need to understand not just content, but also context of an “open, participatory peer-driven” environment and how to use it to your advantage. 3) Are you using behavioral science? Behavioral science is a powerful framework when it comes to changing consumer behavior. 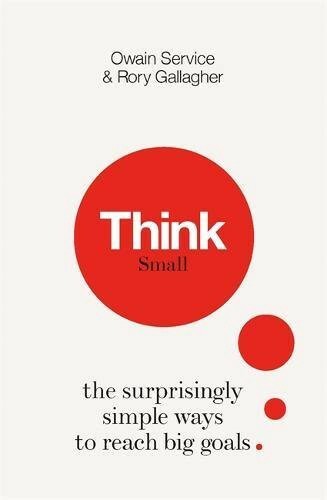 “Could we use the insights from the last fifty years of behavioural science to arm ourselves, and those around us, with a better set of techniques and skills to follow through on choices made, and achieve the things we want to?” David Halpern, Director of the UK Behavioral Insight Team asks in his forward to the book “Think Small: The Surprisingly Simple Ways to Reach Big Goals” By Owain Service and Rory Gallagher. “I think the answer is ‘yes’,” Halpern answers his own question, and I agree with him. In 2018, we should not just ask people to change their behavior and adopt new habits without using the know-how we have gained in order to provide them with a roadmap on how to do it. With the need in exponential transformation in mind, I do not see any reason to ignore decades of behavioral science research that are at our disposal and can “inform how we could do things differently,” as Service and Gallagher suggest. Service and Gallagher offer in their book a framework that is an example of such a roadmap, helping not just to provide guidance, but also to adopt a mindset “that focuses on getting the small — and often simple — details right, that will set you on the path to achieving big goals.” I’ll give an example how Service and Gallagher’s 7-step framework may be used when considering the goal of eliminating single-use plastic bags. 2. Set a specific target and deadline — eliminating the use of disposable plastic grocery bags (not including the small ones used to package fruit and vegetables — this will be the next step) until the end of 2018. 3. Break it down into manageable steps — record my current use of plastic bags and set up a clear reduction plan by the first week of June. Use a journal to write down how many single-use plastic bags I use every week. Follow up on my progress on the first week of July-December and make changes in my plan if needed. 1. Keep it simple — Try to do my grocery shopping only on Saturday and Sunday. 2. Create an actionable plan — I will have 10 reusable bags at home and 2 more in my car. Every time I go to do grocery shopping I will take 5–6 bags with me. If somehow I find myself at the store without a reusable bag I’ll buy one. 3. Turn the plan into habit — I will put the reusable bags at home next to my keys and wallet, so I remember to take all three (keys, wallet, bags) when I go for shopping. 1. Making a binding commitment — I will stop using disposable plastic grocery bags by December 31, 2018. 2. Make it public and write it down — I’ll share it on my social media channels. 3. Appoint a commitment referee — I’m appointing a good friend to check on my progress. 1. Put something at stake for a headline objective — I’m buying two tickets for a Jerry Seinfeld comedy show in January 2019 — if I don’t meet my goal I’ll give the tickets to someone else. 2. Build good habits through smaller rewards — I will listen to Team Human, one of my favorite podcasts when I’m shopping. 1. Ask for help — I’ll ask my wife to remind me about the bags every time before I go to buy groceries. 2. Tap into your social networks — I’ll look for a friend or colleague who would like to take the same challenge! 3. 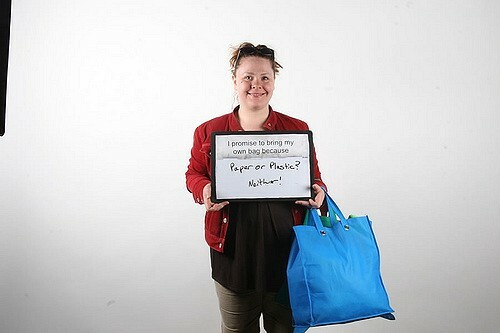 Join a group — I’ll look for a meetup group of people interested in using reusable shopping bag. If there isn’t one yet in NYC, I can start one. 1. Know where you stand in relation to your goal — I will keep a journal, where I record my weekly use of plastic bags. Bottom line: A disciplined behavioral science based approach can be an asset to any campaign or initiative working on changing consumer behavior. While the roadmap one can create with Service and Gallagher’s framework (or others based on behavioral science — consider Switch or Nudge for example) is probably far from perfect it can still be a very valuable guiding tool given that it considers how we operate and what changing behavior actually require from us. 4) Upstream, downstream, or both? These could actually be the first questions you need to ask yourself: Why changing consumer behavior in the first place? Is this the most effective leverage point to make a systemic change? These questions are grounded in systems thinking and in acknowledging that some places to intervene in a system are more effective than others. Take for example the news I’ve read last month: “P&G’s research found that washing at 40C uses more than double the amount of energy as washing in a cold and quick cycle.” This news item was related to P&G’s ‘Long Live Fashion’ campaign, “which encourages consumers to switch to colder and shorter washes and to use both detergent and fabric softener.” The campaign offered consumers a 3-step formula to increase the lifetime of their clothes, while reducing their environmental impact: 1) Use a High Quality Liquid Detergent like Ariel Pods (Ariel is a P&G brand) 2) Wash in Cold + Quick cycles, and 3) Add Lenor to the Drawer (Lenor is a P&G fabric conditioner). P&G’s global vice president for fabric enhancers Bert Wouters is quoted saying: “Sourcing, production and recycling are the focus of a great deal of attention in fashion, but the impact of extending the life of clothes during the so called ‘use phase’ has been largely ignored so far. We are delighted that the ‘Long Live Fashion Formula’ can help reduce the environmental burden of fashion.” Now, going back to the question of effective leverage points, my question to P&G would be if this intervention can be as or more effective than other interventions, such as partnering with washing machines manufacturers to design washing machines that have only quick and cold cycles? Research suggests that may be the case. In their 2006 paper ‘Interventions to Break and Create Consumer Habits’, Bas Verplanken and Wendy Wood explore which behavior change interventions are more effective in creating new habits (defined as “a form of automaticity in responding that develops as people repeat actions in stable circumstances”). They differentiate between two types of behavior change interventions — downstream (“interventions that provide people with information about the right thing to do or that increase their understanding about how to perform a behavior”), and upstream (“do not treat problems after they occur but rather are designed to prevent undesired outcomes and maintain optimal lifestyles”). However, the researchers suggest that downstream interventions plus context change (think for example about moving to a new area or changes in the social environment) may be effective because “the changes in context render people with strong habits vulnerable to new information. Similarly, they make the case for the effectiveness in some cases of upstream interventions, such as taxes and economic incentives. This multi-layered approach to behavior change, which is also reflected in other approaches to change making makes the case that considering downstream interventions without upstream interventions may not be effective when it comes to habits like using single-use plastic bags on using the washing machine. They don’t necessarily suggest that National Geographic or P&G will give up efforts on changing consumer behavior, only that they understand that if they ignore the context these efforts will be fruitless in the end. Bottom line: Applying systems thinking is key to any successful behavior change intervention. When it comes to reducing our use of single-use plastic, the consideration should be how to create the most effective balance between upstream and downstream interventions to trigger the change we want to see. 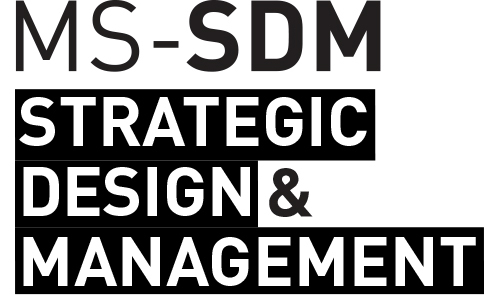 “Faced with a world drifting rapidly towards catastrophe, it seems to me that we need this sense of a designer’s realism and optimism more then ever. We must see the problems, and we must think that in spite of everything, it is possible to solve these problems. We must find solutions,” Ezio Manzini writes. The four questions I suggest for consideration are grounded in this approach, reflecting both realism and optimism that we can still move the needle. At the same time they are also about pushing the envelope and taking bolder approaches to changing consumer behavior. In 2018 this is not only a choice, but an obligation of anyone inspiring to make our life more sustainable.